Diabetes is a common medical condition that affects the people throughout the world. Statistics shows that in United Kingdom alone, 2.8 million people have diabetes. Apart from these 2.8 million, there are 850,000 people who are not aware of the fact that they have diabetes. Diabetes is a medical condition wherein the amount of sugar or glucose in blood exceeds the normal level because of several reasons. Usually pancreas stops producing any insulin or doesn’t produce the required amount of insulin which is essential to keep the blood level maintained in the body. Even sometimes, insulin is produced by pancreas but this is ineffective. This condition is called insulin resistance. In type 1 diabetes, the pancreas doesn’t release sufficient amount of insulin required to keep the blood sugar level under control. This chronic disease is known to be an autoimmune disease wherein the body’s immune system acts against any of the body part. In this case, immune system acts against the insulin-producing beta cells in the pancreas and kill them, eventually results in the reduction or stopping of the insulin. Insulin helps the sugar or glucose to enter the blood. In United States, about 5-10% of diabetic patients have Type 1. Mostly, type diabetes develops in children and young adults; however, this can occur at any time even in older age. 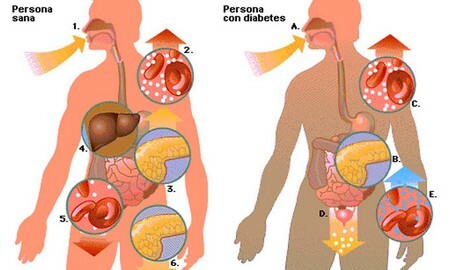 Some of the common symptoms of type 1 diabetes are weight loss, increased hunger, thirst and urination. It is the most common type of diabetes and estimates show that over 90-95% of people are suffering from Type 2 diabetes. In United States alone, 3.6 million people are diagnosed with Type 2 diabetes. Type 2 is often related with obesity, high cholesterol, hypertension, aging, high-fat diets, ethnicity, physical inactivity, and family history of diabetes, history of gestational diabetes and even with older age. However, the most common reason can be obesity as 80% percent of the diagnosed patients are overweight. In Type 2, the production of insulin by pancreas is enough, but the body doesn’t able to utilize this insulin to control the blood sugar levels for some ambiguous reasons. This phenomenon is medically referred to as insulin resistance. 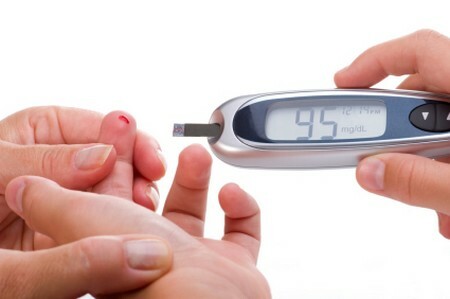 Gradually, the insulin level in blood decreases and the sugar level begin to rise in blood. As compared to Type 1, Type 2 is considered more complicated. If diagnosed in its early stages, it can be fairly easy to treat it because at early stages insulin is still produced which decreases as the disease grow. It is also referred to as Gestational Diabetes Mellitus (GDM) which is mainly associated with the pregnant women as it occurs only when a woman is pregnant. This is a complex medical condition that often causes high birth weights, low blood sugar and jaundice. Certainly, it is a disease that affects the women and that too at time when they are pregnant. Developing gestational diabetes increases the risks for a woman to develop Type 2 diabetes later in her life. Normally, 3 to 10% percent of pregnant women get affect by this disease. It is thought that several hormonal changes that occur during pregnancy cause resistance to insulin. The women with this sort of diabetes normally have babies larger with low blood sugar, and jaundice. However, it is pretty much curable disease. Women need to control their blood glucose levels to minimize the potential risks associated with this diabetes type. It has seen that the women whose diet is rich in fiber content have good defense against this diabetes. You can lessen the risk of getting this diabetes by adding 10 grams of dietary fiber in your regular diet. Apart from above mention three major types, this is relatively rare type of diabetes which is usually caused by some sort of genetic defects in beta cell function. It normally develops in people less than 25 years of age. It is another rare type of diabetes which is often associated with some drugs or chemicals such as nicotinic acid (often used for lowering the high triglycerides and raise the levels of HDL cholesterol), gluco-corticoids (prednisone), thyroid hormone, thiazides (drugs used to control blood pressure), beta-adrenergic agonists (uses for asthma), and dilantin (used for anti-seizure treatment).